For many years, Anadrol was one of the primary combatants of anemia. Anemia is a severe low red blood cell condition. By the mid to late 1970’s, this was the only approved FDA use of the steroid. 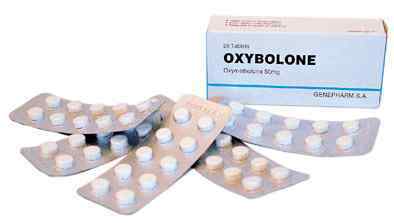 By the 1990’s, due to massive FDA pressure Syntex, the leading producer of Oxymetholone would discontinue the hormone as well as other pharmaceutical manufacturing facilities. This was before the large influx of underground labs (UGL’s) hitting the market, and for a while it looked as if Anadrol would become a steroid of the past. In 1997, Unimed Pharmaceuticals purchased the rights to manufacture Anadrol gaining permission from the FDA to provide it to HIV and AIDS patients. Alaven pharmaceuticals would later pick up the license from Unimed around the mid-2000’s. Since that time, Anadrol has been available in numerous markets under numerous varying trade names. Anadrol is an oral anabolic androgenic steroid comprised of the steroidal hormone Oxymetholone. It is a C17-alpha alkylated (C17-aa) anabolic steroid referring to a structural change of the hormone at the 17th carbon position that allows it to survive oral ingestion. Without this change, the liver would destroy the brunt of the hormone. Unfortunately, this structural change makes Anadrol a hepatotoxic anabolic steroid. Anadrol carries a relatively short half-life of approximately 8.5 hours making daily administration necessary. By its nature, this steroid’s prime objective is increasing lean muscle mass, and it will also possess strong characteristics that are well-suited for promoting large increases in strength. Mass and strength do not always go hand in hand when referring to anabolic steroid use. Some steroids will promote one trait, while being relatively weak in regards to the other. For example, Deca Durabolin is a fantastic mass building steroid, but it won’t do much for strength. Conversely, Anavar will increase strength significantly, but it will do very little in regards to mass promotion. Anadrol is highly anabolic carrying an anabolic rating of 320. All steroids carry an anabolic and androgenic rating measured against the primary anabolic steroid testosterone, which carries a rating of 100 in both categories. Anadrol’s androgenic rating is rather low. Anadrol carries an androgenic rating of only 45, however, its translating androgenic nature tends to be much stronger than its low rating would imply. This steroid will yield far more androgenic activity than its rating would tend to insinuate. · Estrogenic: Gynecomastia and excess water retention are the primary concerns when it comes to the estrogenic related side effects. High blood pressure can also be an issue if water retention gets out of hand. Anadrol is a dihydrotestosterone (DHT) derived anabolic steroid. Like all DHT compounds it does not aromatize, but somehow still carries a strong estrogenic nature, very strong. There are several theories as to why this is, but none of them have been conclusive. In order to combat the estrogenic side effects of an anabolic steroid, most will turn to Selective Estrogen Receptor Modulators (SERM’s) like Clomid or Nolvadex, or to Aromatase Inhibitors (AI’s) like Arimidex or Femara. AI’s are normally the most effective when dealing with most steroids, but things are a little different with Anadrol. AI’s are useful because they inhibit the aromatase process, but there is no aromatase process occurring with Anadrol. However, AI’s also lower the body’s total estrogen levels and this can provide protection. SERM’s function by binding to the receptors, thereby, preventing estrogen from binding and leading to the related effects. Namely, gynecomastia, but they often have a minimal effect on water retention. The use of an AI is still the strongest protection when using Anadrol. Unfortunately, an AI will carry strong possible negative effects on cholesterol. This is controllable with a healthy lifestyle, but if SERM’s can get the job done they should always be your first choice as they will have no negative impact on your lipid profiles. · Androgenic: Despite a low androgenic rating, Anadrol displays far more androgenic activity than its rating would imply. This can lead to acne and speed up hair loss in those predisposed to male pattern baldness. It can also have a negative impact on the prostate, as can all DHT steroids. With many steroids, these related traits are due to the 5-alpha reductase enzyme and can be combated with a 5-alpha reductase inhibitor, but this won’t have much of an affect with Anadrol since the enzyme is not involved. Those who are sensitive to acne will be the first to have a problem and may need to avoid this steroid altogether. Keeping the skin clean and dry at all times will provide an enormous amount of protection, but truly sensitive individuals may need dermatological treatment. There is not much we can do for hair loss if you are predisposed. Anadrol may speed up hair loss if you’re predisposed to male pattern baldness. You’re going to lose your hair even without the use of Anadrol, but you may want to avoid it if you’d like to hang onto every last hair for as long as you can. As for prostate enlargement, you will need to keep a close eye on your prostate. It is a large buildup of DHT that causes this condition, but if the prostate is healthy and responsible supplementation practices are followed most men won’t have a problem. This is all assuming the prostate was healthy to begin with. · Cholesterol: Anadrol can have a negative impact on cholesterol. It does not appear to have a strong impact on LDL levels (bad cholesterol) but it does appear to have a potential negative effect on HDL levels (good cholesterol). Remember, some of you will need to use an AI with this steroid and AI’s can also negatively effect cholesterol. For this reason, it is imperative you do not suffer from high cholesterol before using this steroid, and that you keep a close eye on your levels. Those who supplement responsibly and live a healthy lifestyle that promotes the continuation of good levels will rarely have a problem. You may need to give this a little extra effort, but maintaining proper lipid profiles is more than possible. · Hepatic: Due to Anadrol being a C17-aa anabolic steroid, it carries a hepatotoxic nature. The hepatotoxic nature in regards to severity varies from one C17-aa steroid to the next, but Anadrol is one of the most hepatotoxic steroids on the market. For this reason, the use of this steroid is best in short cycles in order to prevent liver damage. Liver enzyme values will increase with use, but they will return to normal once use is discontinued assuming responsible use is in play and no liver damage will occur. This is all assuming the liver was healthy to begin with. In order to protect the liver, use should be kept to 4-6 weeks with at least 6 weeks of no Anadrol or any C17-aa anabolic steroid after its use is discontinued. 6 weeks is the minimum with 8-12 weeks being far safer. It is also important that you avoid heavy alcohol consumption as this is extremely taxing on the liver. Heavy alcohol consumption can be more damaging to the liver than Anadrol, but conjoined it can be a disaster. Most will find avoiding all alcohol to be best if they’re using this steroid for performance purposes as alcohol is as anti-performance as we can get. It’s also recommended that you avoid all over the counter medications when possible. Many OTC meds are just as if not more hepatic in nature than Anadrol. · Testosterone Suppression: Anadrol will suppress natural testosterone production and significantly enough to warrant exogenous testosterone therapy. Failure to supplement with exogenous testosterone while using Anadrol will place you in a low testosterone condition during use. Once use is discontinued, natural testosterone production will recover. It will take some time, but implementing a post cycle therapy (PCT) plan can greatly speed up the process as well as overall effectiveness. It should be noted; testosterone recovery assumes no severe damage was done to the HPTA during use with improper practices. It also assumes no prior existing low testosterone condition. · Virilization: Virilization refers to the promotion of masculine like traits in women such as body hair growth, a deepening of the vocal chords and clitoral enlargement. This is due to Anadrol’s strong androgenic activity. Women should not use this steroid if they wish to protect their femininity. There are steroids that carry very low virilization ratings such as Anavar and such steroids should always be chosen over Anadrol. Anadrol is almost always found in 50mg tabs and most will use 50mg per day for 4-6 weeks. This is a very effective dose and is best served during the beginning of a new off-season mass gaining phase. This will kick the cycle off while the slower injectable steroids are building in your system. It’s not uncommon for 20 to even 30lbs of mass to be gained during this time. Some will undoubtedly be water retention, but this can be controlled through anti-estrogens and diet to a large degree. Mid-cycle use is also a great time to use Anadrol as it will help you break through sticking points. Those who have used 50mg per day successfully and want more will normally attempt 100mg per day. The risk of side effects does increase with such a dose and will require extreme caution. Doses above this mark cannot be recommended for any reason and are rather useless. Data has shown doses above 100mg per day will not yield any significant benefits above 100mg per day no matter how high we take it. However, they will greatly exasperate side effects. All steroids carry a risk to reward ratio based on dosing that becomes skewed at some point, but very few if any do so in such a sharp and dramatic fashion as Anadrol. · You must have prior experience with Anadrol, understand how your body responds to it and how to control its potential water retention. · You must understand final week bodybuilding protocol. If not, you will ruin your diet with water related problems.